Participants in a training session during the second postgraduate proposal and thesis writing workshop at the University of Embu on 26th April 2018. Master of Business Administration (MBA) graduants await conferment of the MBA degree during 2nd graduation ceremony held on 15th September 2017. Master of Business Administration (MBA) graduants follow the proceedings of the 2nd graduation ceremony held on 15th September 2017. Dr. Mariaciano Iguna Mutiga receives his certificate for the Degree of Doctor of Philosophy from Dr. (Mrs) Vijoo Rattansi, the Chancellor of University of Nairobi. Evelyn Wambui Njogu is admitted to the Degree of Master of Science in Agricultural Resource Management. Pioneer postgraduate students graduate on 30th September 2016 Sitting - PhD in Ecology Dr. Mutiga in red gown and MSc in Genetics Mr. Cherutich in black gown follow graduation proceedings. Since its inception in June 2011, postgraduate studies have been at the heart of University of Embu (UoEm). The Board of Postgraduate Studies (BPS) is anchored in the UoEm Statutes. 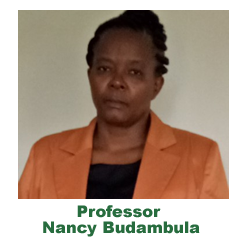 The founding Director, Prof Nancy Budambula, was appointed in July 2014 and the Board became operational in September 2014. The first postgraduate students graduated in September 2016. Over the last few years, UoEm has been able to attract highly qualified staff with experience in teaching, supervising and mentoring postgraduate students. The staff have demonstrated excellence in research and publication in high impact journals in the fields of Agriculture, Natural Sciences, Business and Education. Well-equipped teaching and research laboratories have been established to support postgraduate research. The university has modern microbiology and molecular biology research laboratories among others. A research farm also exists to support agricultural and associated applied biology programs. The University Board of Postgraduate Studies (BPS) oversees postgraduate studies at UoEm. Postgraduate matters are first considered at the departmental then the school and finally at the university level. The Department is therefore the first point of contact between a student and the University. Teaching and research by postgraduate students is coordinated by the respective departments. For more details on a specific program, kindly contact the Chairman of the relevant department. 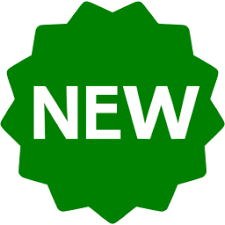 Research profiles of members of staff are on the departmental web pages. Answers to some Frequently Asked Questions (FAQs) on postgraduate studies are provided on this website.